Beck, R.J., Cesario, T.C., Yousefi, A. & Enamoto, H. (2000). Choral singing, Performance Perception, and Immune System Changes in Salivary Immunoglobulin A and Cortisol. Music Perception. Vol. 18, No. 1, s. 87-106. Berbel, P., Moix J. & Quintana S. (2007). Music versus diazepam to reduce preoperative anxiety: a randomized controlled clinical trial. Rev Esp Anestesiol Reanim. Vol. 54, No. 6, s. 355– 8. Bonilha, A.G., Onofre, F., Vieira, M.L., Almeida Prado, M.Y. & Martinez, J.A.B. (2009). Effects of singing classes on pulmonary function and quality of life of COPD patients. International Journal of COPD. No.4, s. 1-8. Dowler, L. (2016) Can improvised somatic dance reduce acute pain for young people in hospital? Nursing Children & Young People, Vol. 28, No. 9, s. 20-25. Eeckelaar C., Camic P. & Springham, N. (2012). Art galleries, episodic memory and verbal fluency in dementia: an exploratory study. Psychology of Aesthetics, Creativity and the Arts. Vol. 6, No. 3, s. 262-272. Ergin, E., Sagkal Midilli, T. & Baysal, E. (2018) The Effect of Music on Dyspnea Severity, Anxiety, and Hemodynamic Parameters in Patients With Dyspnea. Journal of Hospice & Palliative Nursing, Vol. 20, No. 1, s. 81-87. Gómez-Urquiza, J.L., Hueso-Montoro, C., Urquiza-Olmo, J., Ibarrondo-Crespo, R., González-Jiménez, E. & Schmidt-Riovalle, J. (2016) A randomized controlled trial of the effect of a photographic display with and without music on pre-operative anxiety. Journal of Advanced Nursing, Vol 72, No. 7, s. 1666-1676. Hackney, M.E. & Earhart, G.M. (2010). Effects of dance on balance and gait in severe Parkinson disease: A case study. Disability and Rehabilitation. Vol.32, No. 8, s. 679-684. Houston, S. & Mcgill, S. (2013). A mixed-method study into ballet for people living with Parkinson’s. Arts and Health. Vol. 5, No. 2, s. 103-119. Kenny, D.T. & Faunce, G. (2004). The Impact of Group Singing on Mood, Coping, and Perceived Pain in Chronic Pain Patients Attending a Multidisciplinary Pain Clinic. Journal of Music Therapy. Vol. 41, No. 3, s. 241-258. Kreutz, G., Bongard, S., Rohrmann, S., Hodapp, V. & Grebe, D. (2004). Effects of Choir Singing or Listening on Sectorary Immunoglobulin A, Cortisol, and Emotional State. Journal of Behavioral Medicine. Vol.27, No. 6, s. 623–635. Lord, V.M., Cave, P., Hume, V.J., Flude, E.J., Evans, A., Kelly, J.L., Polkey, M.I. & Hopkinson, N.S. (2010). Singing teaching as a therapy for chronic respiratory disease – a randomized controlled trial and qualitative evaluation. BMC Pulmonary Medicine. Vol. 10, No. 41. s. 1-7. Machacova, K., Vankova, H. Volicer, L. Veleta, P. & Holmerova, I. (2017) Dance as Prevention of Late Life Functional Decline Among Nursing Home Residents. Journal of Applied Gerontology, Vol. 36, No. 12, s. 1453-1470. Opher, S. (2011) Cost-benefit Evaluation of Artlift 2009–2012: Summary. Gloucester: Gloucestershire County Council and NHS Gloucestershire. Sihvonen, A., Leo, V., Särkämö, T. & Soinila, S. (2014) Musiikin vaikuttavuus aivojen kuntoutuksessa. Lääketieteellinen Aikakauskirja Duo-decim. Vol. 130, No. 18, s. 1852–1860. Särkämö, T., Tervaniemi, M., Laitinen, S., Forsblom, A., Soinila, S., Mikkonen, M., Autti, T., Silvennoinen, H., Erkkilä, J., Laine, M., Peretz, I. & Hietanen, M. (2008) Music listening enhances cognitive recovery and mood after middle celebral artery stroke. Brain, 131, s. 866-876. 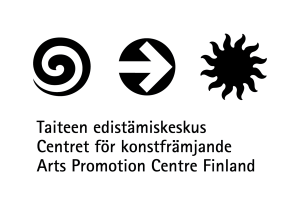 Särkämö, T. & Huotilainen, M. (2012) Musiikkia aivoille läpi elämän. Suomen lääkärilehti. Vol. 67, No. 17, s. 1334-1339. Särkämö, T., Tervaniemi, M., Laitinen, S., Numminen, A., Kurki, M. Johnson, J.K. & Rantanen, P. (2014) Cognitive, Emotional, and Social Benefits of Regular Musical Activities in Early Dementia: Randomizad Controlled Study. The Gerontologist. Vol. 54, No. 4, s. 634-650. Vaajoki A., (2016). Postoperative Pain in Adult Gastroenterological Patients – Music Intervention in Pain Alleviation. University of Eastern Finland. Dissertation in Health Sciences 138. Young, R., Camic, P. & Tischler, V. (2016). The impact of community-based arts and health interventions on cognition in people with dementia: a systematic literature review. Aging & Mental Health. Vol. 20, No. 4, s. 337-351. Clift, S. & Hancox, G. (2010). The significance of choral singing for sustaining psychological wellbeing: findings from a survey of chorister in England, Australia and Germany. Music Performance Research. Vol. 3, No. 1, s. 79-96. Clift, S. & Morrison, I. (2011). ”Group singing fosters mental health and wellbeing: findings from the East Kent ’singing for health’ network project.” Mental Health and Social Inclusion. Vol. 15, No. 2, s. 88–97. Cole, A., Jenefsky, N., Ben-David, S. & Munson, M.R. (2018) Feeling Connected and Understood: The Role of Creative Arts in Engaging Young Adults in Their Mental Health Services. Social Work with Groups. Vol. 41, No 1-2, s. 6-20. Fancourt, D., Perkins, R., Ascenso, S., Carvalho, L., Steptoe, A. & Williamon, A. (2016). Effects of Group Drumming Interventions on Anxiety, Depression, Social Resilience and Inflammatory Immune Response among Mental Health Service Users. PLoS ONE. Vol. 11, No. 3, s. 1-16. King, R., Neilsen, P. & White, E. (2013). ”Creative writing in recovery from severe mental illness.” International Journal of Mental Health Nursing. Vol. 22, No.5, s. 444–452. Lehikoinen, K. & Vanhanen, E. (toim.) Taide ja hyvinvointi. 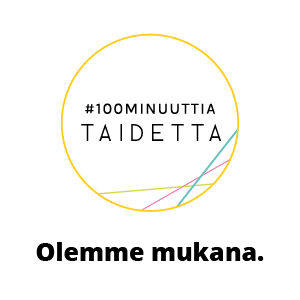 Katsauksia kansainväliseen tutkimukseen. Taideyliopisto, Kokos-julkaisusarja 1/2017. Lawson, J., Reynolds, F., Bryant, W. & Wilson, L. (2014). ’It’s like having a day of freedom, a day off from being ill’: Exploring the experiences of people living with mental health problems who attend a community-based arts project, using interpretative phenomenological analysis. Journal of Health Psychology. Vol. 19, No. 6, s. 765-777. Lilja-Viherlampi, L-M. (2007) ”Minunkin sisälläni soi!” – musiikin ja sen parissa toimimisen terapeuttisia merkityksiä ja mahdollisuuksia musiikkikasvatuksessa. Turun ammattikorkeakoulun tutkimuksia 24. Lipe, A., Ward, K., Watson, A., Manley, K., Keen, R., Kelly, J. & Clemmer, J. (2012). ”The effects of an arts intervention program in a community mental health setting: A collaborative approach.” The Arts in Psychotherapy. Vol. 39, No.1, s. 25–30. Margrove, K., Heydinrych, K. & Secker, J. (2013). ”Waiting list-controlled evaluation of a participatory arts course for people experiencing mental health problems.” Perspectives in Public Health. Vol. 133, No.1, s. 28–35. McKeown, E., Weir, H., Berridge, E., Ellis, L. & Kyratsis, Y. (2016). ”Art engagement and mental health: experiences of service users of a community-based arts programme at Tate Modern, London.” Public Health. 130, s. 29–35. McLean, J. (2011). An Evidence Review of the Impact of Participatory Arts on Older People. Mental Health Foundation. Sagan, O. (2012). ”Connection and reparation: narratives of art practice in the lives of mental health service users.” Counselling Psychology Quarterly. Vol. 25, No. 3, s. 239–249. Sapouna, L. & Pamer, E. (2016). The transformative potential of the arts in mental health recovery – an Irish research project. Arts & Health, Vol. 8, No. 1, s. 1-12. Secker, J., Loughran, M., Heydinrych, K. & Kent, L. (2011). ”Promoting mental well-being and social inclusion through art: evaluation of an arts and mental health project.” Arts & Health. Vol. 3, No. 1, s. 51–60. Thomson, L., Lockyer, B., Camic, P. & Chatterjee, H. (2018) Effects of a museum-based social prescription intervention on quantitative measures of psychological wellbeing in older adults. Perspectives in Public Health. Vol. 138, No. 1, s. 28-38. Tomlinson, A., Lane, J., Julier, G., Duffy, L., Payne, A., Mansfield, L., Kay, T., John, A., Meads, C., Daykin, N., Ball, K., Tapson, C., Dolan, P., Testoni, S. & Victor, C. (2018) Visual art and mental health. A systematic review of the subjective wellbeing outcomes of engaging with visual arts for adults (“working-age”, 15-64 years) with diagnosed mental health conditions. What Works Centre for Wellbeing. Wilson, C., Secker, J., Kent, L. & Keay, J. (2017). Promoting mental wellbeing and social inclusion through art: six month follow-up results from Open Arts Essex. International Journal of Mental Health Promotion. Ørjasæter, K. B., Stickley, T., Hedlund, M. & Ness, O. (2017) Transforming identity through participation in music and theatre: exploring narratives of people with mental health problems. International Journal of Qualitative Studies on Health and Well-being. Vol. 12, No. 1. Ørjasæter, K. B. & Ness, O. (2017) Acting Out: Enabling Meaningful Participation Among People With Long-Term Mental Health Problems in a Music and Theater Workshop. Qualitative Health Research, Vol. 27, No. 11, s. 1600-1613. Wang H.-X., Karp, A., Winblad, B. & Fratiglioni, L. (2002). Late- life engagement in social and leisure activities is associated with a decreased risk of dementia: a longitudinal study from the Kungsholmen project. Am J Epidemiol. Vol. 155, No. 12, s. 1081– 7.